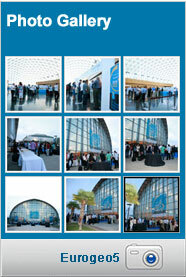 Note: The Companion fee does not include access to any of the scientific sessions or Congress exhibition. Note: The social activities will be carried out only if there are at least 10 people willing to participate in such activities. The cancellations shall be informed to info@eurogeo5.org with at least 7 days notice prior to 16 September 2012. 10:00 h. – We will start with a sightseeing tour, taking a look at the rice plantations on the way to the Albufera. This is a freshwater lagoon between the sea and the rice plantations, which is used both for fishing and for the irrigation of rice crops. It covers 23.94 km², and it is surrounded by 223 km² of rice plantations. 11:00 h. – Visit to a thatched cottage, the original dwelling of farmers and fishers of the 18th century. Boat tour through some of the hundreds of channels of the lagoon. 13:00 h. – Lunch at a restaurant in El Palmar to sample the traditional gastronomy of the region where the Abufera’s typical dishes are prepared, such as duck, rabbit and chicken paella, and eels in garlic and paprika sauce. 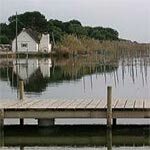 15:00 h. – Guided tour of El Palmar, a 1,000-inhabitant ancient island located in the centre of the Albufera, which is accessed after crossing three channels. Its origin is associated with fishery. 16:00 h. – Return to Valencia (Hotels). The Valencian Courts (Corts Valencianes) – Facade- (Ancient palace of Borja family). The Basilica of the Lady of the Forsaken - Interior- dedicated to the city saint patron, built in the 17th century in baroque style. 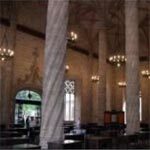 Palau de la Generalitat - Facade- It consists of a central body of late gothic style with two towers. It is currently the seat of the Valencian government. We will visit the interior. The Cathedral - Interior- of gothic style, with subsequent extensions in which we will look at the superposition of styles, emphasising the retable of the high altar painted by Fernando Yánez de la Almedina, Leonardo da Vinci’s disciple, the Chapel of the Holy Grail, the Chapel of San Francisco de Borja, with paintings of Goya, and the Micalet (Miguelete), the cathedral bell tower. 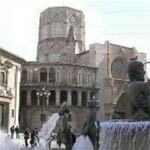 The Water Court (Tribunal de las Aguas) is the most ancient justice institution in Europe, (they have met every Thursday since 1000 years ago) in the gothic facade of the cathedral. The Micalet (facade) is a bell tower built in the 14th and 15th centuries by Andrés Juliá, with a marked gothic style. It is situated next to the baroque irons door of the Cathedral of Valencia. The Round Square, as the name indicates, is circular and it displays sale stands and a fountain in the centre, from where the first potable water ductwork of Valencia started in the 19th century. As a curious fact, we will see the narrowest building of Europe. 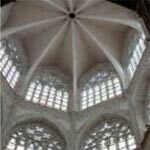 The Silk Exchange (Lonja de la Seda), declared as a World Heritage site for being the most representative work of the civil gothic architecture in Europe. Built for business transactions, it consists of three parts: the Hall of Columns, the Tower and the Consulate of the Sea. The Central Market, Facade. Modernist style building. Architects: Guardiola and Soler, educated in the Architecture School of Barcelona, collaborators of Domènech i Montaner, who had a significant influence on the diffusion of Modernism throughout Spain. It is the biggest market of Europe. 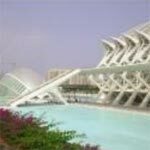 12:30 h. – Sightseeing tour of the City of Arts and Sciences. The complex is organised around an axis and is made up of l'Hemisfèric, the Palace of Arts and the Prince Felipe Museum, designed by the architect Santiago Calatrava. The complex is completed by l¨Oceanogràfic marine park, whose coverings were designed by the architect Félix Candela. We will visit the Palace of the Arts, the majestic building designed by Valencian-born architect Santiago Calatrava. The palace is a grand structure with high symbolic and monumental value, making it an internationally recognised monument of the Valencian Community. 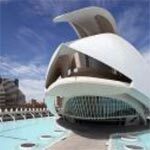 To wrap up we’ll take a short guided stroll around the grounds of the City of Arts and Sciences: The Príncipe Felipe Science Museum, l’Umbracle gardens, l’Hemisféric hall, the Agora exhibition space, and l'Oceanogràfic marine park. 13:30 h. – Typical food in restaurant of the zone. 15:30 h. – End of the guided tour. 15:45 h. – Returns to Hotels. 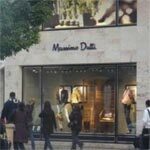 Free day for visit the most popular shopping area in Valencia. Area situated in the south of the historic centre and surroundings. The most important streets are Colón, Don Juan de Austria, Poeta Querol, Jorge Juan, Cirilo Amorós and La Paz. EMT (municipal company of transport) he has numerous lines that lead to the center. The normal schedule is of 5:30 to 2:30.